The problem with all this, is that now a days, no one lives in isolation. Cindy spoke of her home life at work. Lee and Casey went to school and lived in neighborhoods where others were around. Even if your family is dysfunctional, you have other outs and are exposed to other family units. Casey was spoiled and quickly learned what to say and do to get her own way. She could be coy or demanding, depending on the situation or what she wanted. Casey was all about Casey. She knew she was a liar and took joy in that fact. She knew it was wrong. I don't excuse her because her parents are nuts. There are many dominant female households and those children learn societal expectations. Even if the parent is flawed, there is enough exposure to different lifestyles that the parent can not be the one to take the praise for success or the blame for collapse. We are not a closed society. When a child/adult chooses not to use resources or behaves against norms, it could just be that you have a sociopath on your hands. It does not help to look for excuses for their behavior. They are as accountable for their actions as the rest of us. I agree with you and was thinking the same thing while reading the excerpt. We have heard from many who were raised in much the same conditions, or worse, and they CHOSE to make life changes so as not to repeat the same actions and to live a better life. It's all about choices.....Casey made hers and none of them were good. I agree too, that she took joy from all of her devious actions.....even killing Caylee. Sweet baby girl, you never stood a chance. You were so brave in your short time here on Earth. You showed love and compassion despite what you were shown and how you were treated. I think that is why you stole my heart. The house raffle has been cancelled http://fiftydollarhome.com/id15.html . Wonder if they are giving a refund for the 50 tickets that were bought? I bet they come up with some other use for the money. "Chances of winning the home are determined by the number of tickets sold and distributed. No more than 4,000 tickets will be sold and no less than 3,500 tickets will be sold in order to give away home. Kid Finders Network, Inc. and Bob Harrell Properties, Inc reserve the right to offer a consolation prize of 50% of total ticket sale revenue and not the original prize if less than 3,500 tickets are sold or substitute with another home within the Orlando area." Still looking at this pic, what a WASTE. 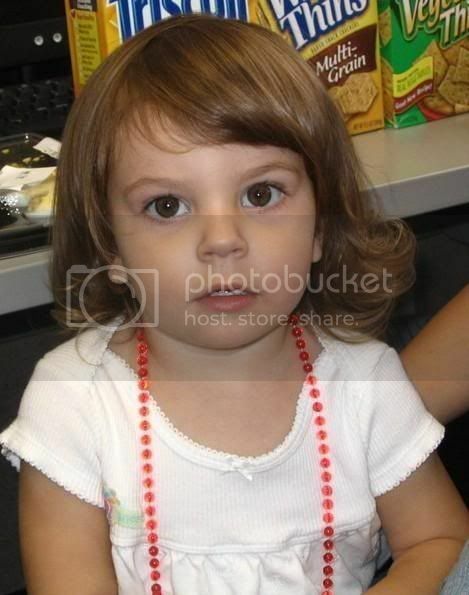 Gonzalez says her life was ruined when she was linked by Anthony to the disappearance of Caylee Anthony. Anthony was acquitted in July of murder in the 2008 death of her 2-year-old daughter. What do I say to that? BS If the murderer can take the 5th, due to her worthless appeal on lying charges, then ZG should be able to do the same. The case is against the murderer, not ZG. They want to know what ZG has to say so more lies can be thought up. If the murderer doesn't have to answer anything, then somebody needs to put some heat on the appeals court. ZG has been waiting since 2008 and 2012 is right around the corner. I still believe this Judge Munyon is doing everything she can to get this case dropped. Again, this is such BS!!! We need a Lettermen top 10 list. Just like all OJ's attorneys...time to pay the piper! I wonder if Liz, Bozo, Whorealdo and the rest are sweating? Page created in 2.121 seconds with 21 queries.